Most large aircrafts today are equipped with an ‘Automatic Dependent Surveillance Broadcast‘ (ADS-B) system. This equipment will be mandatory in 2017. It broadcasts flight data at 1090 MHz. A ‘Sofware-defined Radio‘ (SDR) USB dongle for DVB-T can be used to receive those signals, that can be decoded with the appropriate software. The receiver should be based on the Realtek RTL2832U chipset. Type numbers are E4000 and R820T. They can easily be found on eBay or Amazon. They usually come with a simple indoor rod antenna, which yields pretty good results. I can receive planes that are over 140 km away in the free sight direction. For even better results you may want to build your own dipole. If you don’t have the build tools installed run the following command. You also need libusb-1.0-0-dev. The software bundle contains the library to communicate with the DVB-T dongle and a number of tools to use it as an SDR. This software is used to capture and decode the ADS-B signal. It also presents collected data on a web page. <iframe src="http://nitri.ddns.net:8080" name="flight-radar" width="95%" height="90%" align="center"
// This file is to configure the configurable settings. // Load this file before script.js file at gmap.html. There are several approaches for this. I created a couple of scripts to start the flight radar. I got inspired from an article by Charly Kühnast who happens to be virtually my neighbor and runs a flight radar in Kervenheim. Nice tutorial. Very detailed. I do have a couple of comments. sudo is probably not needed on all the above commands. I am using a NooOlec R820T SDR and DVB-T dongle (NESDR Mini). If it is plugged directly into the USB port on the RPI it runs fine. Thanks so much for the detailed installation procedure. Thank you for your feedback! I have corrected the typos. I don’t know about the USB error. Might be a power issue. 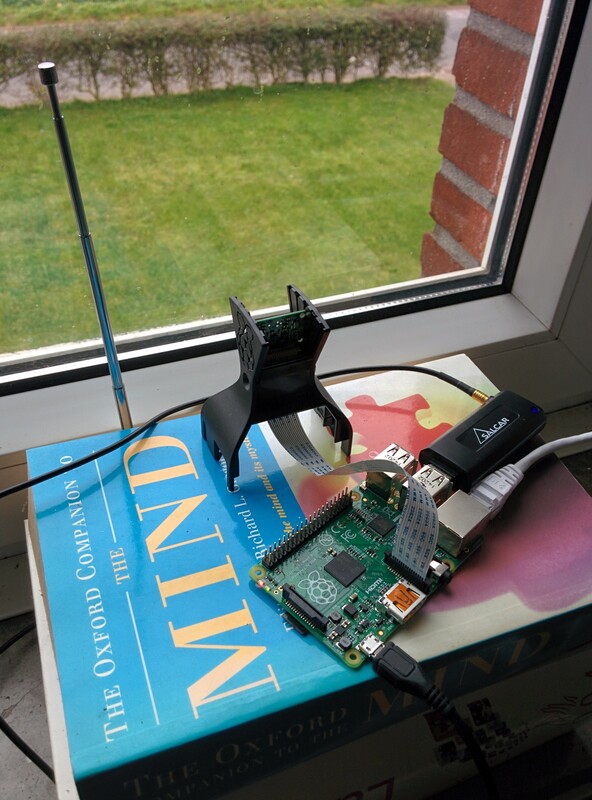 Pingback: Blog WiFi / Wimax / 3G / 4G / Vidéo sans fil – RaspberryPi : suivre les transpondeurs ! 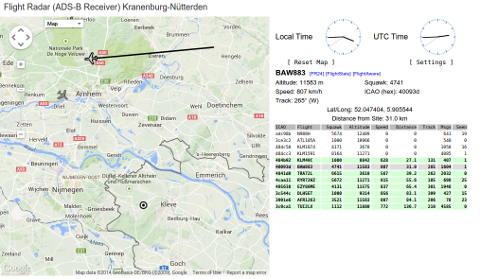 Pingback: Un Raspberry Pi pour suivre les avions sur FlightRadar24 | Framboise 314, le Raspberry Pi à la sauce française….